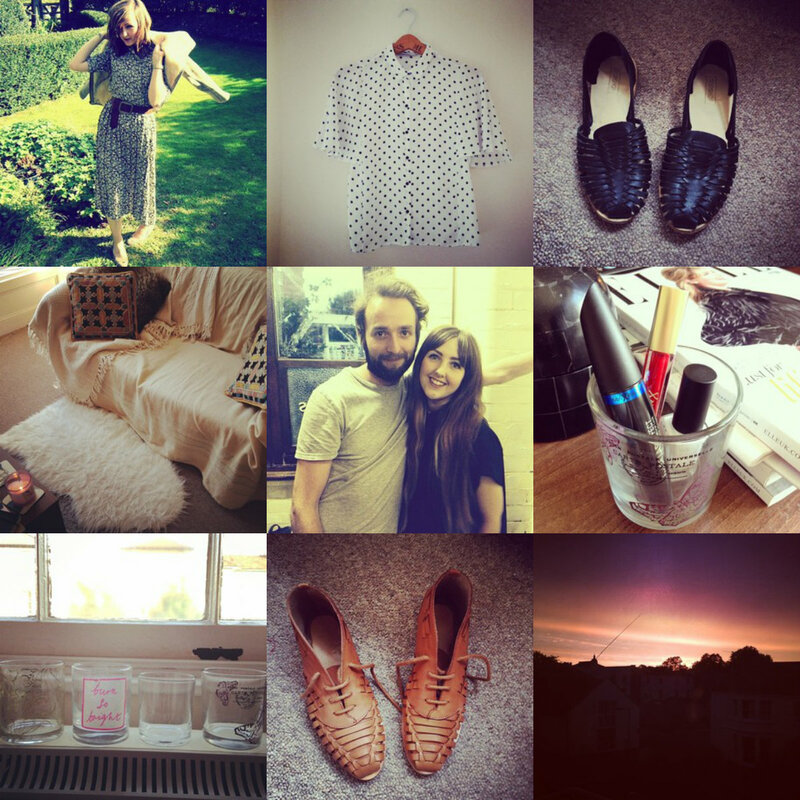 There seems to be a theme amongst shoes on Instagram this week; the two pairs I've posted are woven! I had a pair of woven loafers for years which I wore out, they were re-soled several times and even survived a festival (sort of) but finally they just fell to bits and because they were vintage, I've never been able to replace them. I am always scouring eBay to find a similar pair because honestly they were probably one of my favourite ever pairs of shoes. Anyway, the minute I see something remotely woven, I feel I must own it to try and take the place of the loafers; invariably they can't actually do that, but it does mean I now have a decent haul of woven shoes to choose from! The Toppers pair I actually bought for Primavera and whilst very comfortable, the black dye from the leather completely rubbed off on to my feet, and this happens every time I wear them, which means I don't wear them that often now as they just make it look like I have really filthy feet! The woven boots were from ASOS and a bargain in the sale. This week I also went to an exhibition that Adrian put on with a photographer friend of ours called Steph. Their styles are very different but also very similar, and they work really well together. Adrians illustrations really compliment Stephs photographs and the exhibition has been a great success. I've also been looking back through the archives as I have been blogging now for 5 years. I thought it would be fun to post a few archive images and this is the one I chose this week. It's funny looking back, even though I don't think my style has changed that much, look how short my hair is!